Rainbow International is engaged in the business of procuring mangoes from the Konkan region of Maharashtra and selling them in Pune and other regions in Maharashtra. Rainbow International has devised an innovative solution by allowing the customers to place an order of purchase over internet and through a dedicated telephone line. Rainbow International provides for ‘’ Home Delivery’’ services in addition to multiple outlets (Point of Sales). By using our www.mangowale.com website or availing services of Rainbow through any other mode such as Telephone of Direct Sales you are accepting all the terms and conditions of this disclaimer notice of Rainbow International. The information on this website is provided by “Rainbow International”, hereinafter referred for the sake of brevity and convenience as the “Company”. “Rainbow International”, “Mangi”, “Aamgo” and the punch lines, the colour combinations are trademarks of the Company and all rights including, but not limited to Trademarks, Copyrights etc. are owned solely by the Company. The said intellectual property displayed/mentioned/ included in www.mangowale.comshall not be copied, reproduced, republished, downloaded, posted, broadcast, transmitted or used in any way by anybody without prior written permission of the Company. Any other trademarks or geographical indications such as “Alphonso” etc., not owned by the Company, is to be construed merely as a reference and the Company makes not attempt to claim any rights in such names or words whatsoever. The Company endeavors to provide correct and updated information to the extent possible by its resources. It is however notified that though the company endeavors to keep the such information up-to-date and correct, it does not make any representations or warranties of any kind, express or implied, about the completeness, accuracy, reliability, suitability or availability with respect to the website or the information, products, services contained on the website for any purpose. Any reliance that you place on such information is therefore your sole responsibility. The Company has made adequate efforts to keep the website up and running smoothly. However, the Company takes no responsibility for and will not be liable for the website being temporarily unavailable due to technical issues beyond the Company’s control. The Company provides the product and/or services on an ‘’As is’’ and ‘’as available’’ basis, you acknowledge and agree that the company shall have no liability to you or to any third party including but not limiting for any modification, suspension, discontinuance or termination of the service or any part thereof. The Company makes no warranties that the product and/or service shall meet your requirement or that the product and/or service shall be uninterrupted, timely or error free. The Company shall not provide any warranty regarding the completeness, reliability, quality, effectiveness, security while using the payment gateway. In no case shall the company be responsible any interruption, hindrance or failure of the payment gateway transaction. The Company offers its products and services to the buyer, who generally is the end user or public at large. The transaction through this website shall be restricted to the Company and the customer / end user and therefore the company shall not be liable to any other third party whatsoever. All advertisements, promotional messages regarding the mangoes and the Company’s services shall be considered as an invitation to offer and not an offer. It shall not be binding on the Company to abide by or comply with any term, condition, provision, proffer or proposal displayed and mentioned in such an advertisement or promotional message. The Company shall not be in anyway held responsible or liable for the quality of the mangoes the company provides. It shall be the sole responsibility of the buyer to ensure that the mangoes are of the desired quality. 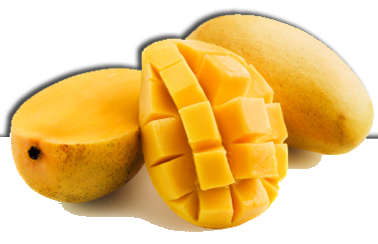 At present, the Company shall provide service of “Home Delivery’’ of mangoes only within the city limits of Pune and in no other region in rest of Maharashtra. It shall be at the Company’s discretion to decide the locations and places to provide the service of “Home Delivery”. The Company shall not be held responsible or liable for any postponement, delay, interruption, holdup, hindrance in service or the process of providing ‘home delivery’ of the mangoes to the buyer. The Company does not manufacture or cultivate the mangoes on its own, but is a mere facilitator. 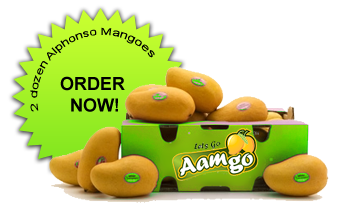 The Company has ensured that it procures the mangoes from authentic sources. In no event, shall the Company be held liable or responsible for any bodily injury or illness, sickness, ill health, allergic reaction, disorder, infection or disease caused by the consumption of the said mangoes to anyone. State that the mangoes are Alphonso mangoes and that they come from Ratnagiri and Devgad, the places of origin which are known for this fruit. Say that as far as possible the mangoes are sourced from these locations, but the Company reserves the right to source them from any other location, but that they shall be sourced only from Konkan as the Company intends to propagate Alphonso from Konkan only.